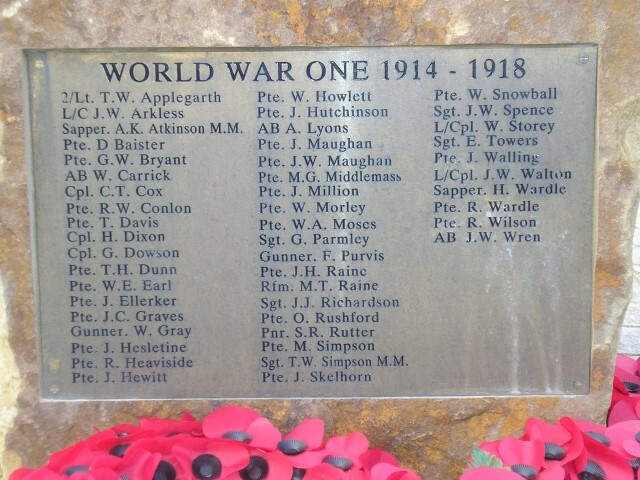 This memorial was commissioned by the Evenwood & Barony and names of those men who fell in the two World Wars and includes additional WW2 names. The open space was formerly occupied by a timber building used as the Durham County Council Social Centre Hall later to become the Village Hall. It was demolished in the 1970’s. This building may have been the original Comrades’ Hall but further research is required to confirm this. 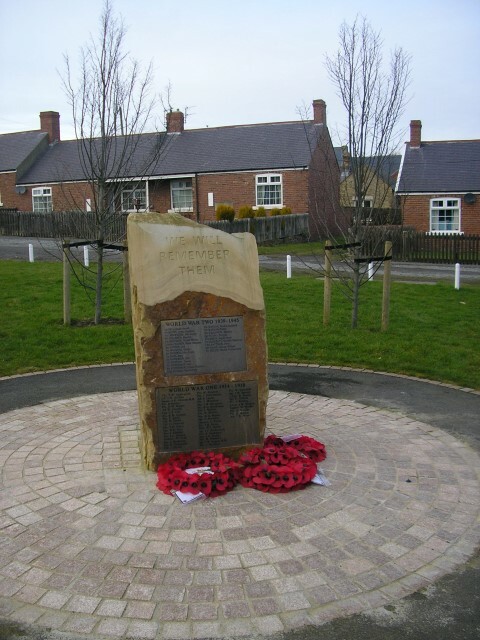 The new War Memorial was erected c.2013.